Welcome to another "48 Hour Flash Sale!" for My Creative Time! This sale is for 48 hours ONLY that is going on right NOW and will end on Sunday, November 4, 2018 @ 7am PST!! Wes are showcasing an AMAZING new stamp and die set!!! It is called 'Just A Little Something'! This is available now for purchase here! Don't forget to use the code FLASH at checkout to get 20% off of your entire "in-stock" only purchase! 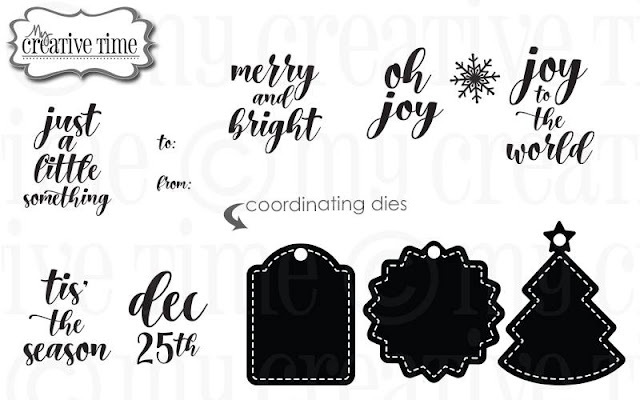 I absolutely LOVE this new stamp and die set!! It creates such cute little tags!! Perfect with the holidays right around the corner! 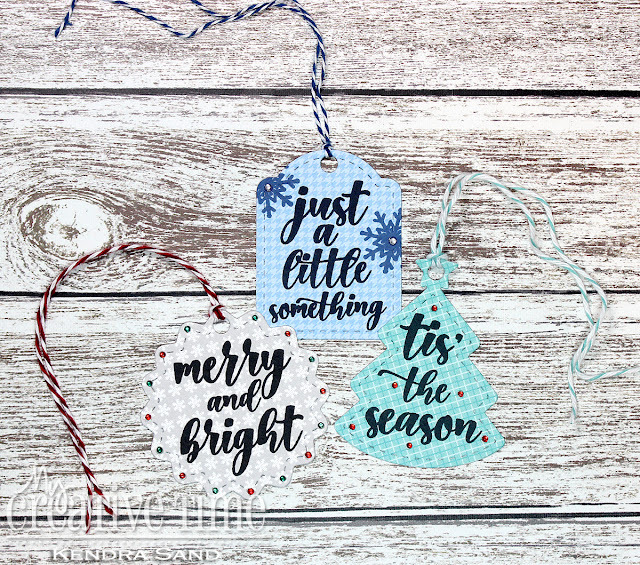 These are such cute little tags! I can honestly now say there should be no problem for me to have all handmade tags for my gifts this year!! Yay!! A goal I have had for many years!! This new set will help me create a ton!! Come hop along with us for some AMAZING inspiration using this new "Just A Little Something"!! 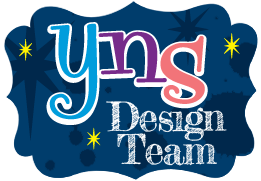 You can check out all of My Creative Time's products here!! Have a lovely day and happy hopping! Miss Kendra, your tags are simply AMAZING my friend! OMG Miss Kendra how Darling and Sweet are your Little Gift Tags!! Love the pretty papers and your cute embellishing ideas. You so did a Super Outstanding Creative job as you showcase this new Cutie Patootie Gift Tag Set. 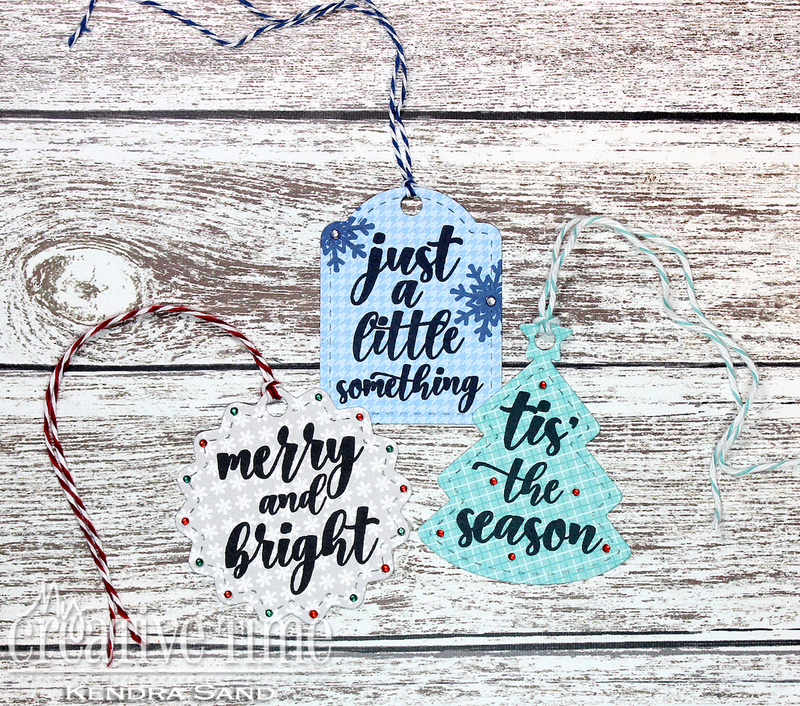 These are great - I like how you added the different embellishments; really makes the tags pop! TFS! The sentiments looks so pretty on the pattern papers. Beautiful job. Love your tags. The embellishments are so perfect. Adorable tags! Love the paper! Such sweet little tags! Don't you love how quick and easy these are? Love this set so much! I adore the patterned paper you used!! These tags are adorable!! Love them! So CUTE! Quick, fun, easy tags! I'm so there! :) Have a great week! Very PRETTY tags!! Wonderful job!! Fabulous tags! Love the cute use of the snowflake and those plaid papers!